In a large, non stick pan (with a fitting lid), heat up some vegetable oil on a low heat. Cook the garlic, ginger, tomato and spices until fragrant. Season to taste. Add the water. Bring to the boil. Once boiling, reduce to a simmer and cover for 10 minutes to push the flavours further. Add the chickpeas, potatoes and mushrooms. Cook covered until the potatoes are cooked. Stir occasionally during this process to ensure all the vegetables are coated with the spice mix. Add the beans and parsley. Once combined, serve up with rice or your grain of choice. 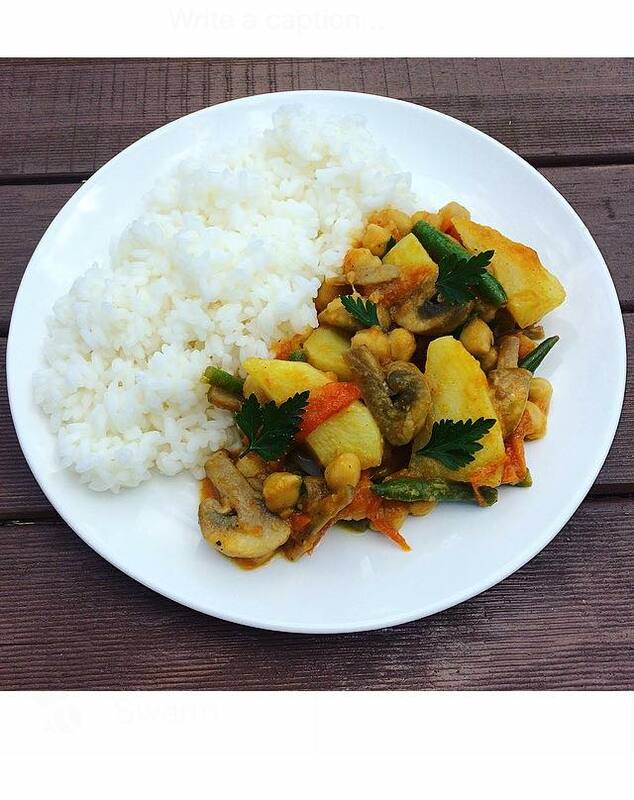 This entry was posted in Savoury Recipes and tagged cooking, curry, dairyfree, food, glutenfree, health, nutfree, nutrition, vegan. Bookmark the permalink.